Tooth whitening is not permanent. A touch-up maybe needed every once in a while, and more often if you smoke, drink coffee, tea, or wine. 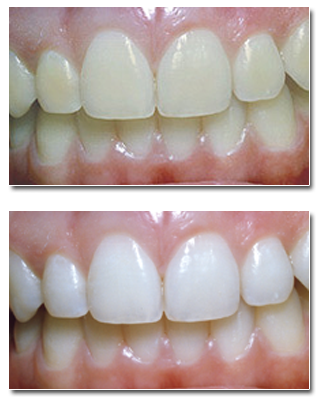 The whitening gels are usually Carbamide or Hydrogen Peroxide based. Carbamide will mix with the water in Saliva to form hydrogen peroxide. 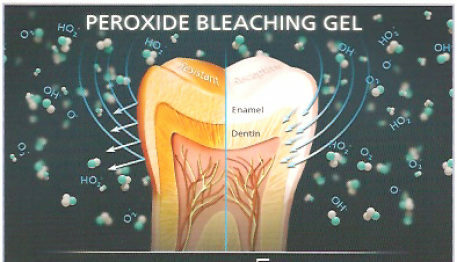 The peroxide oxidizing agent penetrates the outer Enamel layer of the tooth and reacts to break down the stain deposits in the deeper Dentin Layers of the tooth. At your second appointment, you will try on the trays for proper fit, and adjustments will be made if necessary. The trays are worn with special whitening solution either one to two hours daily or overnight for a couple of weeks depending on the degree of staining and desired level of whitening. It is normal to experience tooth sensitivity during the time you are whitening your teeth, but it will subside shortly after you have stopped bleaching. Using a desensitizing toothpaste can be helpful to mitigate the sensitivity you may feel white whitening your teeth. 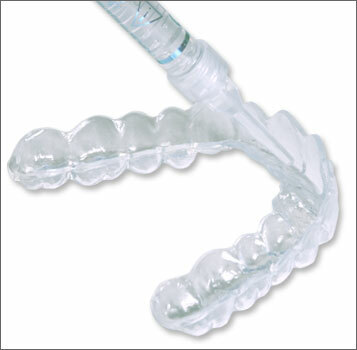 Another popular method of teeth whitening that can be done at home does not involve making custom molds and trays. Rather, there are prefabricated "one size fits all" whitening strips that are impregnated with the bleaching gel solution. These are worn for usually 30 mins to an hour, but never overnight. Since these strips will not fit everyone's teeth perfectly, results will vary and may require a longer period of treatment than the custom trays. However, as bleaching technology has improved, so have the prefabricated whitening strips. Many patients find they will achieve a perfectly acceptable level of whitening with the whitening strips at a much lower cost than the custom trays. There are several brands of whitening strips available, many of them "over the counter". 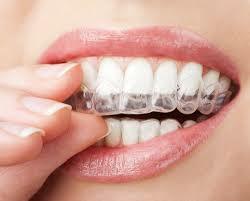 We offer a professional strength whitening strip that is not found in stores. 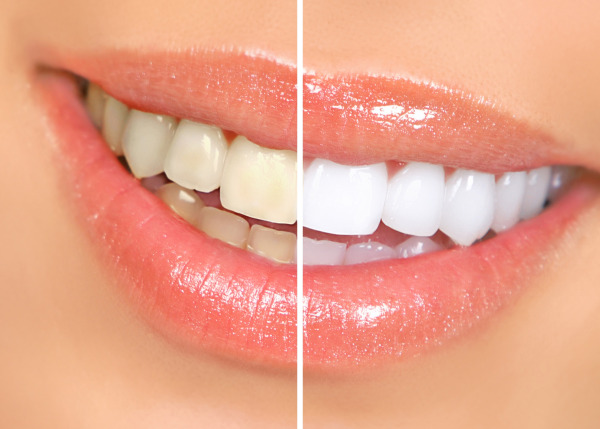 We would be happy to discuss both whitening options with you.